Camille Pissarro (10 July 1830 – 13 November 1903) was a Danish Impressionist and Neo-Impressionist painter born in the Virgin Islands, where his father was of Portuguese Jewish descent and his mother was native Creole. He studied in Paris and London, becoming a permanent resident of France. His importance resides in his contributions to both Impressionism and Post-Impressionism, as he was the only artist to exhibit in both forms. 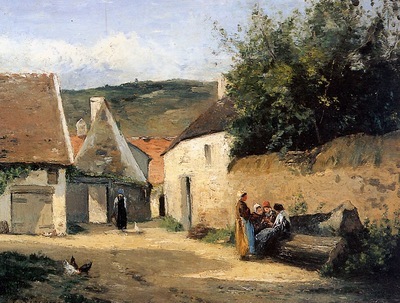 Pissarro studied from great forerunners, including Courbet and Corot. He later studied and worked alongside Georges Seurat and Paul Signac when he took on the Neo-Impressionist style at the age of 54.